TTD special entry darshan also known as TTD Seeghra Darshan was introduced on 21st September 2009. This facility was started to provide access to pilgrims for quick darshan. The price of TTD special entry darshan ticket is Rs 300 per pilgrim which also include two Laddus. The booking for TTD special entry darshan ticket is opened round the clock. Now, pilgrim can also book Seeghra Darshan ticket online in advance and enquire about TTD online room booking availability. This advance booking was introduced on 27th August 2014. TTD special entry darshan booking is possible 3 hours prior to the available darshan slot. This is subject to the available quota. Pilgrims can make e-Hundi offerings while booking the special entry darshan tickets. 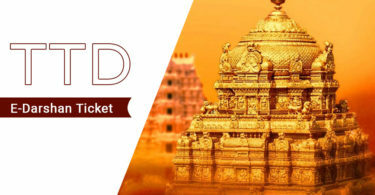 TTD special entry darshan online – Internet Booking can be done on TTDsevaOnline.com, Devotees are advised to check TTD special entry darshan availability on it in advance as its highly recommended mode of booking. TTD Online Registration is a pre requisite to book online. Indian Post offices – This was introduced from May 2015, TTD special entry darshan ticket can be booked here 4 weeks in advance. Currently 174 post offices have been allotted and published on TTD website from Andhra Pradesh. Click Here to for find your location. Children below the age of 12 do not need any darshan or Seva tickets. However, please carry the age proof to avoid any confusion. Pilgrims carrying recommendation letter from AP govt. TTD has made special arrangements for physically challenged and senior citizens. TTD special darshan entry point into the temple from a separate gate called the “Dakshin Mada Gate”. There are two time slots available one at 10 AM and other at 3 PM. Pilgrims who want to avail this facility must carry the relevant medical certificate and age proof documents. The reporting time is 2 Hours prior to the actual darshan time slot. For example, for 3 PM darshan time, please report at 1 PM. 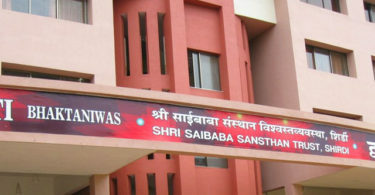 Reporting place – Pilgrims must report at Supadham. It is located between Vaikuntam Queue complex – 1 and Haathi Ramji Mutt. Pilgrims need to present on time. No pilgrim is allowed to reach before time. Pilgrims will not be allowed for darshan if they reach 30 minutes after the reporting time. Pilgrims should not drink alcohol before visiting the temple premises. Pilgrims should not eat non-veg food which also include eggs and fish. Electronic items and all belongings must be submitted at the nearest deposit counter before entering the temple. Seeghra Darshan tickets are available at 4 windows in the special counter in Vaikuntam Queue complex – 1 Tirumala. If you have any query on TTD Seeghra Darshan, please leave your comment below, we will get back to you at the earliest. Need help..i would be reaching Renigunta by train on 19th October by 4:30 p m . And by online darshan ticket of rs 300/ says timing 4:00pm. By the time I reach up it will take at least one hour. Will I be allowed to avail the darshan? As per the rules you must have to reach 1 Hour prior to the darshan time slot. For example, if your Darshan time is 4 PM, then the reporting time will be 3 PM. Once the time slot is allotted, it cannot be changed. Please let me now if need any help. That means the special darshan ticket will have timing printed on it.. Wen to attend??? 1) Seeghra Darshan Tickets is available at Tirupati Head Post Office.Head Post Office is located near Gangamma Temple. Approx 1/2 Km from Tirupati Central bus Stand. 2) Seeghra Darshan Ticket Counter is available at e darshan counters in Tirupati & Renigunta. In renigunta it is located opposite to Renigunta Railway Station .And also at Vailkuntam 2 Q complex entrance to pilgrims. If you need any more help please let me know sir. 1) Seeghra Darshan Ticket Counter is located Right Opposite to Renigunta Railway station. 2) Seeghra Darshan Ticket Counter is available at Sri Vari Sannidhi, which is on the way to Kapila Theertham from Bus Station. 3) Seegrhra Darshan Tickets are also available at Vaikuntam 2 Q complex entrance to the pilgrims.